One of the most important things you can do to stay safe on the Internet, especially this time of year is to be very careful while reading email. That’s because online criminals know that we’re all busy, and we often don’t pay enough attention to the details of what we’re reading or where we’re clicking. To take advantage of our inattention, these Internet information thieves forge email messages to look like they come from the likes of Apple, Office365, and Amazon, along with well-known banks, payment services, retailers, and even government agencies. The goal? To get you to click a link in the message and visit a malicious Web site. That site usually continues to masquerade as being run by a company or organization you trust. Its aim is to sucker you into revealing confidential information by asking you to log in to "verify your identity" or to "prevent unauthorized access". The site—or an attachment in the email message—might also try to install malware. Although macOS is quite secure, if you approve security prompts, it can still be infected. 1. Be suspicious of email messages, particularly from people you don’t know or from well-known companies, that ask you to click a link and do something with an online account. 2. Look closely at email addresses and URLs (hover the pointer over a link to see the underlying URL). Phishing messages don’t use official domains, so instead of paypal.com, the addresses and links might use paypa1.com—close enough to pass a quick glance, but clearly a fake. 3. Watch out for highly emotional or urgent requests. They’re designed to make you act without thinking. Take any such messages with a grain of salt. 4. Channel your inner English teacher and look for poor grammar or odd phrasing, which are red flags for phishing messages. Email from real companies may not be perfect, but it won’t have multiple egregious errors. So what do you do if you get a message that may be phishing for sensitive information? Most of the time you can just ignore it. If you’re worried that it might be legit, instead of clicking any links in the message, navigate to the site in question manually by typing the organization’s URL into your browser—use a URL that you know to be correct, not the one in the email message. Whatever you do, do not open attachments that you aren’t expecting and never send confidential information via email. If you think you’ve fallen prey to a phishing attack and given away a password, you’ll want to change passwords on any affected accounts. If you’ve opened any attachments or approved any installs, run anti-malware software to determine whether your Mac has been infected. Please feel free to contact us if you need any help or have questions. And remember, regular backups protect you from a multitude of sins. Don't do it! Just say no to the Fusion Drive! There are two basic types of storage devices available on the market today: traditional platter style or hard disk drives and solid-state drives. For the lowest cost per gigabyte, you can’t go wrong with a hard drive, and they come in truly massive sizes—up to a whopping 8 terabytes. However, they’re slow and their performance is lacking especially with the technological demands we place on computers todays. For speed and reliability, you want a solid-state drive, also known as an SSD. Because SSDs rely on flash storage, a type of non-volatile memory whose chips retain data without power, they’re lightning fast. But chips are more expensive than hard disk platters and read/write heads, so the $250–$300 that will get you an 8 TB hard drive is enough for only a 1 TB SSD. So in 2012, Apple came up with an ill begotten compromise: the Fusion Drive. 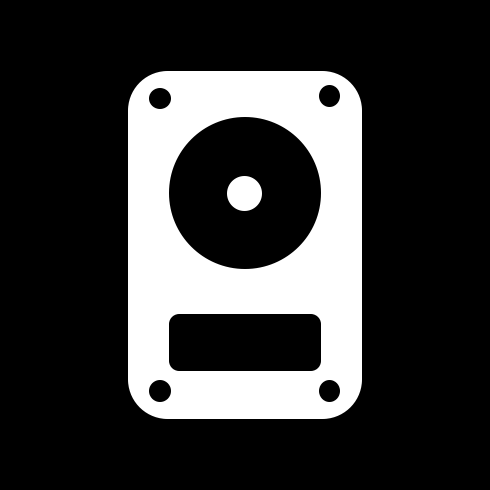 As its name suggests, a Fusion Drive is meant to provide the best of both worlds by providing much of the speed of an SSD along with the capacity of a hard drive. However, in reality it is a Frankenstein monstrosity that should never enter a business office. While it is true that you might be able to get away with a Fusion Drive in a machine intended for home use – it will never be able to handle a substantial work load. To make matters worse, many Apple stores' only stock options for the iMac and Mac mini have Fusion Drives. This means that you have to special order a machine to avoid getting stuck with the curse of rainbow wheel which will be your inevitable fate as the Fusion Drive gets stuck switching between the two sides of itself. One final note. As of this writing, macOS 10.13 High Sierra will not convert a Fusion Drive to Apple’s new APFS file system. We anticipate that will change at some point in the next year, and it is true that APFS might make Fusion Drives a little bit faster though not necessarily anymore reliable. All that said, if you want the best performance and can afford the cost you should get an SSD. Should you need more space than an SSD can provide, consider using the SSD internally and adding an external hard drive connected via USB 3 or Thunderbolt 3. With today’s technological demands, we cannot in good faith recommend purchasing a computer with a hard disk drive as the primary storage for a Mac unless low cost is absolutely paramount. A hard disk drive's performance just won’t cut it anymore. Which is partly why the Fusion Drive fails to deliver. Hey you. Yeah you, we know who you are. You’ve got your iphone in your hand, your ipad in your bag, and a apple air on your desk sitting next to your imac desktop. We know you, because you’re us.